From there, the program cross-references the photo with the other images in CWPS’s growing database. The final search results present an array of possible matches (and possible names) for consideration. Over the four-year course of the Civil War, photography was a crucial medium for capturing both the shifting tides of the conflict and the individuals caught up within them. Mathew Brady's searchin portraits and Alexander Gardner's unflinching views of the dead at Antietam helped make the war real for both civilians at the time and those of us at a century and a half’s remove. 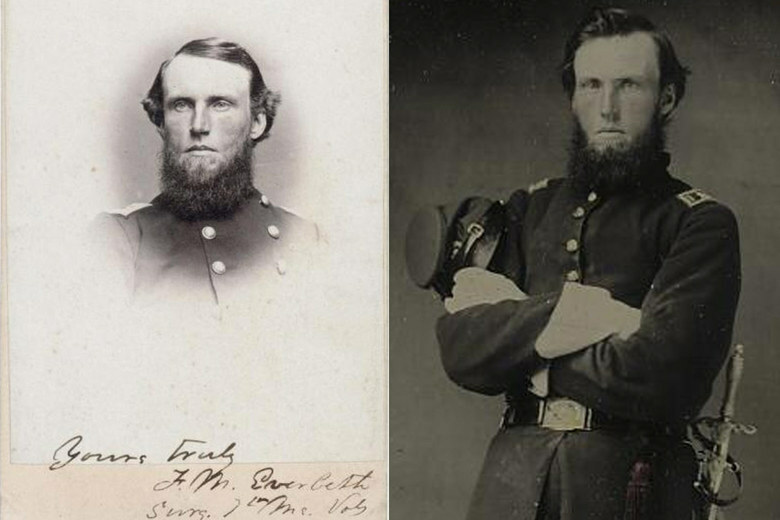 In an interview with Military Images, Coddington said, “I once calculated that there were 40 million photographs of Union soldiers taken during the Civil War. Even if only 10 percent survive, there are 4 million images out there today.” Yet we have names for few of them: “David Wynn Vaughan, a premier collector of Confederate soldier images, estimates that no more than 10 or 20 percent of the images he’s seen during his more than 25 years of collecting are identified,” Bob Zeller, president of the Center for Civil War Photography, writes on the organization’s website..
On the afternoon of Oct. 4, 2011, a backhoe dug into an excavation pit in Elmhurst, Queens, and struck iron. Construction workers assumed they had hit a pipe. But when the claws of the backhoe emerged from the ground, it was dragging a body clothed in a white gown and knee-high socks. It turned out to be anything but. The almost perfectly preserved body was actually that of a woman born decades before the Civil War. She had been buried in what was once the grounds of a church founded in 1830 by the first generation of free African-Americans. Now a new documentary, “The Woman in the Iron Coffin,” premiering Wednesday on PBS, provides the woman’s identity. The Post can reveal that researchers believe her to be Martha Peterson, who worked for a local white man with abolitionist leanings. In fact, there were some 50 or 60 pieces of iron that had been smashed by the backhoe. As Warnasch explains in the documentary, they were from an airtight Fisk iron coffin, made by the now-defunct New York company Fisk & Raymond. A 19th-century phenomenon, it allowed corpses to be sanitarily transported via trains and ships. Researchers from the Centers for Disease Control and Prevention confirmed that the smallpox had degraded to a nonthreatening level. An autopsy revealed that the disease had infected Peterson’s brain and most likely killed her. A geochemist pulled chemicals from the woman’s teeth that revealed she had lived for years in the Northeast; data collected from hair confirmed a balanced diet. Investigating bone structure, Warnasch put her age between 25 and 35. He then went to work on figuring out exactly who she was. Elmhurst used to be known as Newtown. By the 1850s it was home to a community of free and freed blacks. Assuming that the woman was local to the area, Warnasch turned to an 1850 census report. One stood out: Martha Peterson. “She would have been 26 in 1850, probably died around 1851 and lived in the household of William Raymond, a partner in the iron-coffin maker Fisk & Raymond,” said Warnasch, adding that its caskets were made between 1848 and 1854. Peterson may even have relatives living in New York City right now, but Warnasch has investigated only a couple of generations beyond her own. Based partly on the curve of her spine, he believes that she worked for Raymond as a domestic. “She was buried in one of his coffins” — more specifically, one with an upside-down patent mark that probably made it unsellable. He contacted Joe Mullins, a forensic-imaging specialist who often works with the FBI — creating age-progression renderings that update the photographic images of missing children and fugitives. 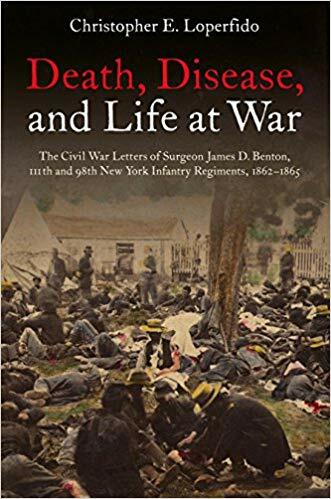 Christopher Loperfido offers the letters of James D. Benton as both a scholarly resource for educators and enlightening story for general readers of Civil War history. There are 42 letters spanning August 1862 through the post war era. Among the several strengths of Loperfido's work are the introduction to each letter which includes a summation of the 98th and1 New York Regiment's history and combat experience, marches, winter encampments. Intriguing is the regiments' capture while at Harpers Ferry, Virginia in 1862, the branding of them as the 'Harpers Ferry Cowards', and their interment at Camp Douglas while waiting parole. Located at the bottom of the pages, Loperfido's notes are clear, concise and very helpful regarding, geography, diseases, medicines, and biography. Benton's presence in the Chancellorsville and Gettysburg campaigns is detailed in five letters which are enhanced by Loperfido's own experience and knowledge as a National Park Ranger at Gettysburg. During the late autumn of 1863 Benton enters, as a patient, the Seminary Hospital located in Georgetown, District of Columbia. His chronicling of his symptoms, diagnosis and remedies is insightful. He also at times discusses his pay, and his accompanying the paymaster on several occasions. 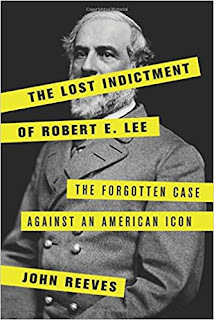 His reflections on the temperaments of the Army of the Potomac, news reports of Grant and Sherman east of the Appalachians, and the politics of the 1864 presidential election and the nominating conventions of both the Democratic and Republican parties is both informative and frank. Loperfido places these letters in their proper context and needed transitions between each of them. He also describes Benton's life after the war; The four appendices review the work of Jonathan Letterman, director of the Army of the Potomac's medical division, the development of the Ambulance Corp, the use of amputations and dressings and the work of the U.S. Sanitary Commission. 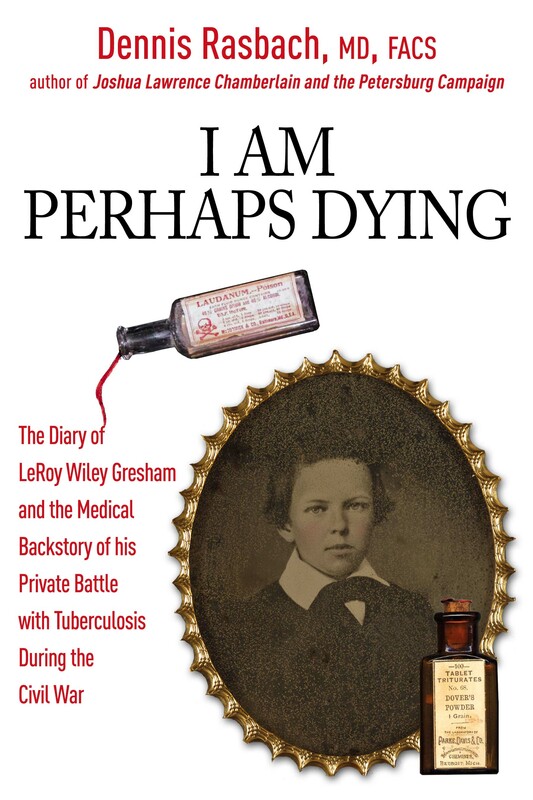 Loperfido's work is accessible to those in high school and those readers who specialize in American Civil War medicine. 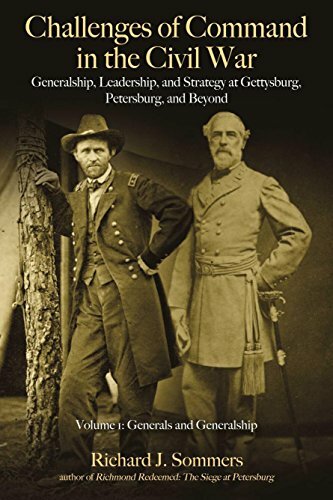 "New from Savas Beatie is Dr. Richard J. Sommers’s challenges of Command in the Civil War: Generalship, Leadership, and Strategy at Gettysburg, Petersburg and Beyond, Volume One of the series Generals and Leadership. This is the first of two volumes, focusing on the actors and their performance. Volume II will look at Civil War Strategy, Operations, and Organization. 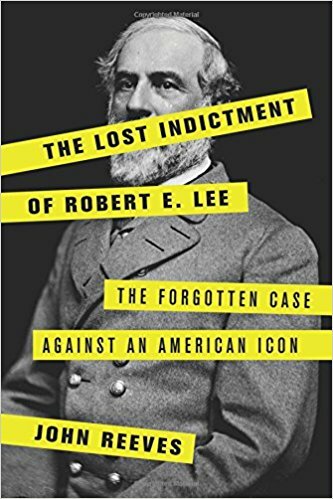 Five chapters of the ten in this volume focus on Ulysses S. Grant and Robert E. Lee throughout the war. The next five chapters examine: Union civilian corps commanders; Federal wing and corps commanders in the 1862 Maryland campaign; Federal wing and corps commanders in the Gettysburg campaign; senior Federal commanders in the fifth offensive at Petersburg; and Revolutionary War relatives of significant Civil War soldiers and politicians. Dr. Sommers is a name with which all students of the American Civil War is familiar. You’ve seen his name in the acknowledgements of countless books, as he was for more than four decades associated with the Army Heritage and Education Center (USAHEC) in Carlisle, Pa. He has authored dozens of articles, chapters, entries, and reviews, as well as the epic Richmond Redeemed which has been recently updated and published by Savas Beatie Publishing. 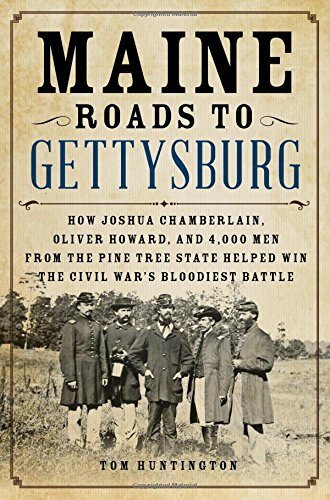 From the Publisher: Joshua Lawrence Chamberlain and his 20th Maine regiment made a legendary stand on Little Round Top during the Battle of Gettysburg in July 1863. But Maine's role in the battle includes much more than that. Soldiers from the Pine Tree State contributed mightily during the three days of fighting. Pious general Oliver Otis Howard secured the high ground of Cemetery Ridge for the Union on the first day. Adelbert Ames--the stern taskmaster who had transformed the 20th Maine into a fighting regiment--commanded a brigade and then a division at Gettysburg. The 17th Maine fought ably in the confused and bloody action in the Wheatfield; a sea captain turned artilleryman named Freeman McGilvery cobbled together a defensive line that proved decisive on July 2; and the 19th Maine helped stop Pickett's Charge during the battle's climax. Maine soldiers had fought and died for two bloody years even before they reached Gettysburg. They had fallen on battlefields in Virginia and Maryland. They had died in front of Richmond, in the Shenandoah Valley, on the bloody fields of Antietam, in the Slaughter Pen at Fredericksburg, and in the tangled Wilderness around Chancellorsville. And the survivors kept fighting, even as they followed Robert E. Lee's Army of Northern Virginia into Pennsylvania. Maine Roads to Gettysburg tells their stories. Tom Huntington is the author of Searching for George Gordon Meade: The Forgotten Victor of Gettysburg, as well as Guide to Gettysburg Battlefield Monuments, Pennsylvania Civil War Trails, and Ben Franklin’s Philadelphia. He is also the former editor of American History and Historic Traveler magazines, and his writing has appeared in many publications, including Smithsonian, Air & Space, American Heritage, British Heritage, and Yankee. He was born and bred in Augusta, Maine, but now lives in Camp Hill, Pennsylvania, not far from Gettysburg. The United Lutheran Seminary today announced an agreement with the Civil War Trust to permanently preserve 18 acres of historic open space on Seminary Ridge in Gettysburg. The property, located on both sides of Seminary Ridge Road, has been a part of the Seminary since it moved to the site in 1832. "This property is a gift from God and we are stewards of this gift. We have a deep love for the property and its unique historic and scenic character," ULS Acting President-Bishop James Dunlop said. "For generations, these qualities have inspired thousands of seminary students as well as visitors from across our nation and around the world." Under the terms of the $3.5 million purchase agreement, the Trust will acquire an 11-acre portion of the United Lutheran Seminary property straddling Seminary Ridge Road and a conservation easement on 7 acres along Chambersburg Pike east of those two parcels. "We feel, as stewards of this site for more than 180 years, that we have a sacred responsibility to see it is protected for future generations," Bishop Dunlop said. "We believe this land needs to be preserved for the next generations of seminarians, and others, to reflect upon, learn from, and appreciate." In remarking on the agreement, Civil War Trust President James Lighthizer said: "We have long admired the Seminary's commitment to protecting and maintaining Seminary Ridge. We consider it a privilege to partner with the Seminary to permanently preserve this iconic landscape." Conversations, about this agreement, began in 2015, and the Trust has already begun raising funds to preserve the property. For the Gettysburg community, the ridge's open land is a favorite gathering place during special events each year. People assemble there on Independence Day to watch the fireworks from this high ground. It has been home to the Gettysburg Brass Band Festival for 21 years. And this August, the Seminary will host the 5th annual Gettysburg Brewfest, – with craft brewers, cider makers and food trucks. Founded in Gettysburg as the Lutheran Theological Seminary in 1826, the educational institution moved to its present site on Seminary Ridge in 1832. It is the oldest continuously operating Lutheran seminary in the nation. In July 2017, it consolidated with the Lutheran Theological Seminary at Philadelphia to become the United Lutheran Seminary. The Gettysburg Seminary's 1832 building, named Schmucker Hall, figured prominently in the opening of the Battle of Gettysburg. Standing on high ground a half mile west of town, the campus became a focal point of the first day's fighting — making Seminary Ridge synonymous with that action and subsequent combat on July 2 and 3, 1863. Today, the building houses the Seminary Ridge Museum. Adjacent to Gettysburg National Military Park and the Lee's Headquarters acreage protected by the Civil War Trust, the land that the Seminary will transfer to the Trust is of profound military significance, the bloodiest Gettysburg ground left in private hands, historians say. The determined defense on Seminary Ridge by men from the Union's Iron Brigade and 24th Michigan Volunteer Infantry enabled the army to regroup and hold Cemetery Hill, key to the ultimate Federal victory at Gettysburg. Hundreds of soldiers from North and South were felled on the ground to be purchased by the Trust. "On this ground occurred the end of the beginning of the Battle of Gettysburg and the beginning of the end of the Civil War," said Doug Douds, a retired Marine Corps colonel and Gettysburg Licensed Battlefield Guide who teaches at the U.S. Army War College. This is a little different for Bull Runnings. 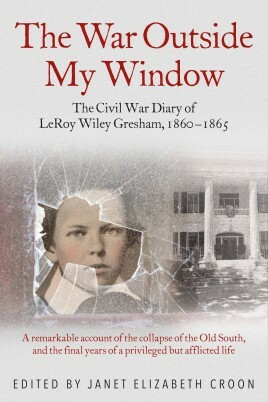 The good folks at Savas Beatie sent me a digital, advance unedited galley of a unique diary, The War Outside My Window: The Civil War Diary of LeRoy Wiley Gresham, edited by Janet Elizabeth Croon. The story of this diary, which I’ll describe below, has been bouncing around for quite some time – here’s a WaPo article from 2012. I’ve read snippets of LeRoy’s diary, and enough of other online sources which you can find yourself to get a good idea of his back story (note this is a preview, not a review.) Here’s the gist – he was a very bright, well-read, and articulate young man, living in Macon, GA. He suffered from a disease resulting from a severe injury to his leg – when the diary opens, he’s already an invalid and would need to be pulled about in a wagon of sorts. Unlike the reader LeRoy was of course unaware that his condition was mortal, and he would barely outlive the war that understandably occupied so much of his thoughts. Our knowledge of his impending doom makes his daily writings, spanning the whole conflict and very much of and in the moment, all the more poignant in their innocence, ignorance, and wit. You’ll feel for the kid. Macon July 22 1861: Another great battle at Manassas! Sherman’s Battery taken! Terrible Slaughter on both sides! The enemy retired from the field. The Fight commenced 4 oclock this morning and continued until about seven. The battle raged with terrible force and a heavy loss on both sides. There has evidently been a signal Victory at Bulls Run. President Davis’ message is out. It is not only well written, but beautiful in contrast to the boorish effort of Doctor Lincoln, Chief magistrate of United States. Raining very slightly before breakfast this morning. Sad news Gen. F. S. Bartow is killed. Macon Gaurds in the fight. President Davis commanded in person; Beauregarde + Johnson’s army both engaged 40 000 to 70 000 on a side. Beauregarde’s horse shot from under him. It will be sometime before we can get the truth of it. Dressed my back this morning and its healing though very slowly. General Wise has also gained a signal Victory in western Virginia, killing 150 federals and losing few of his men. Julia Ann is up and about again. Very heavy shower this afternoon. Uncle John, Deo Volente [God willing], leaves for Athens tomorrow. Father comes home but there are no more reliable dispatches. The battles undoubtedly sends a thrill of Anguish to many an anxious heart in the newborn Confederacy. Ave Maria Jose [goodbye]. Undoubtedly, some will latch on to the undeniable fact that LeRoy was a youth of privilege and wealth, a member of a slaveholding family with personal servants, and may argue that these are the most important, or even the only, aspects of his life with which we should concern ourselves, to the exclusion of all others. To the contrary, young Gresham’s story and personal observations give great insight into the mind of someone raised in the reality of the times, and should provide a tool for historians to interpret those times in context as opposed to retrospect. I mean, that’s their job, after all. It’s not everyone’s job. But it is that of the historian. It’s hard to tell you what you’ll get with the final product. Of course you get the diary and detailed annotations in bottom of page footnotes; illustrations including a few of actual diary pages with what we refer to today as “metadata” (doodling, sweat stains, etc. ); Hal Jesperson maps; extensive dramatis personae; and appendices related to LeRoy’s medical condition. A lot of detective work went into this. The War Outside My Window is scheduled to drop in June, with national coverage and a feature in the Sunday Parade magazine. Advance orders or signed copies are being taken at the Savas Beatie site linked above. I think this will be an important work, and well worth your time. Caption: Christy Coleman, CEO of the American Civil War Museum, which is headquartered at the site of the Tredegar Iron Works in Richmond. Christy Coleman spends a lot of time among artifacts of the Civil War, and two that touch her deeply are a pair of tattered Confederate battle flags. This seems odd for an African American woman, until she explains. One banner has a single word stitched on it: Home. The white material of the flag, it turns out, was cut from a wedding dress. The other flag is a traditional Stars and Bars, like you’d see on a T-shirt or shot glass. But this one was captured at the Battle of the Crater in Petersburg by United States Colored Troops. Both relics hint at deeper human stories, and that’s where Coleman finds meaning in her job as chief executive of the American Civil War Museum, an institution created from the ruins of this city’s Confederate ironworks. Coleman is using that position to look for a new way to tell the story of the Civil War, a conflict so easy to render in stereotypes. With a major expansion of the museum underway, her goal is to show the conflict from multiple points of view — not just North and South, but through the eyes of women, Native Americans, enslaved blacks, immigrants. If you can change perspectives, the thinking goes, issues begin to look different. Assumptions waver. That premise will be put to the test long before the expanded museum opens later this year. Coleman is helping lead a commission appointed by Richmond’s mayor to recommend what to do with five enormous statues of Confederate leaders along the city’s grandest residential boulevard, Monument Avenue. Coleman, 53, grew up in Williamsburg, in the workaday city behind Ye Olde Colonial Facade. Her neighborhood and church were filled with the tradespeople who groomed the gardens, sheared the sheep or ran the printing press in the historic area. Most of the costumed interpreters didn’t look like Coleman, despite the fact that in Colonial times more than half the residents of Williamsburg were of African descent. She saw something horrible overcome visitors who encountered her in that role. The modern veneer slipped aside and out came racial epithets or crude sexual comments. As a young woman, she struggled to process those situations. But she stuck with it, the thrill of giving voice to the voiceless more powerful than the revulsion. By the mid 1990s, after starting at William & Mary and graduating from Hampton University, Coleman became Colonial Williamsburg’s director for public history. She oversaw all of the historical interpreters. One of her first big events was an annual market day, reenacting the way Colonial Virginians auctioned cattle and land. A staffer pointed out the obvious: The real market would have sold slaves, too.Coleman decided it was time to do something radical. She took a plan to upper management to stage a live slave auction. And she would be one of those on the sale block.The idea touched off a national debate. “Black and white folks thought that . . . it was going to stir up stuff that didn’t need to be stirred up in America,” Coleman said. A massive crowd and international media showed up. Plainclothes police stood among the onlookers, just in case. And Coleman and three other African Americans let themselves be sold to the highest bidders. Today, that event is viewed as a landmark success in the modern retelling of American history. After generations of avoiding the topic, other major institutions — such as Thomas Jefferson’s Monticello and James Madison’s Montpelier — now confront enslavement as a major component of their interpretation. But it exacted a heavy price on Coleman. The emotional stress brought on panic attacks that stuck with her through years of therapy. She never repeated the auction. A few years later, she was wooed to Detroit to run the Charles H. Wright Museum of African American History. Nearly a decade into that job, Coleman was married and had two small children and wanted to slow things down a bit. She got word of a small museum back home in Virginia that was looking for a shake-up. Richmond long portrayed its past in a one-sided way. After the Civil War, widows and wives of Confederate veterans gathered memorabilia and displayed it in the old Confederate White House. From that collection, arguably the most extensive of its kind anywhere, grew the Museum of the Confederacy.